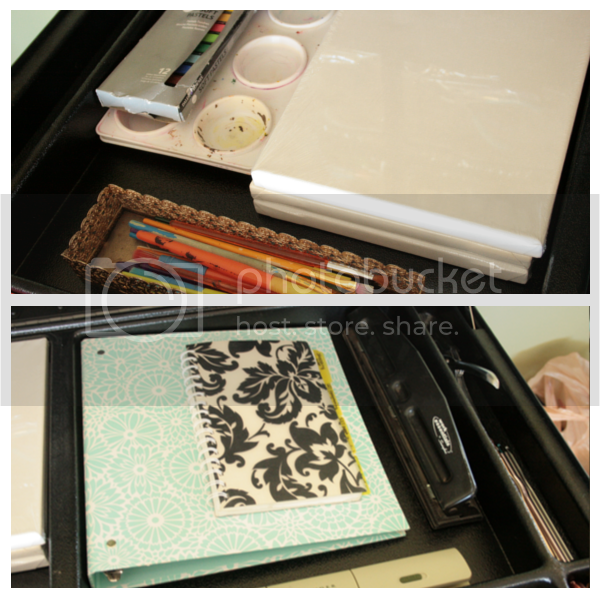 Get Organized on the go with Craft-N-Go Portable Workstation. I am absolutely in love with my new Craft-n-Go Pro Portable Workstation. 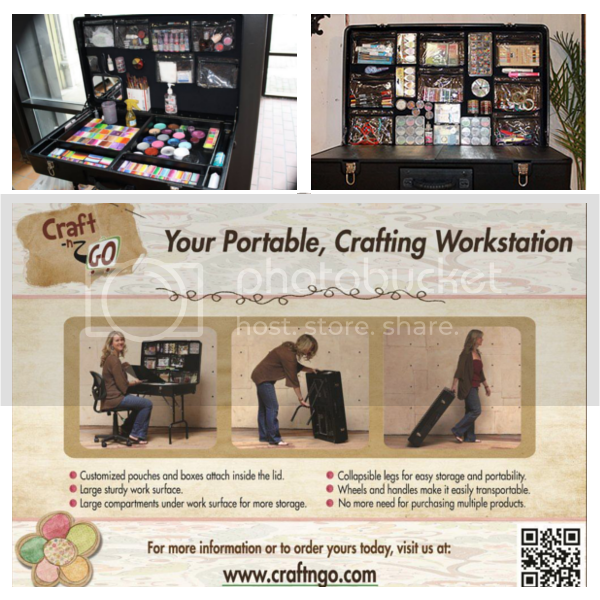 The Craft-n-Go Pro is a portable crafting workstation that was designed for the avid crafter or scrapbooker. You can take your crafts with you anywhere you go. Whether it be out by the pool, on vacation, or to your next crafting conference. There is a combination of large and small compartments in the lower section that can be left open or you can attach the boards that come with the workstation to create a flat work surface. Inside the lid you will find a velcro friendly surface that allows you to attach just about anything. Perfect for keeping the items you use most right at your finger tips. The workstation also comes with 8 clear zipper pouches (with the option to purchase more) that stick to the inside of the lid using velcro dots, as well as several extra velcro dot. The legs of the work station fold out to create a table or fold them back up to travel or pack away. I have had this workstation for a week now and I have changed my mind on what to use it for at least a dozen times. The option are endless. I originally planned to use it as an extension to my sewing table. The clear pouches and compartments would be perfect for storing small fabric scraps, patterns, thread, bobbins, and all of the other odds and ends that go along with sewing. At one point I also considered using it in the kids school room to organize all of their math and science supplies. Then I decided to use it for all of my miscellaneous craft supplies. However, I have finally settled on using it as my own personal, portable office. My family spends a lot of time outside and it's not uncommon to find me out on the back patio finishing up a few blog posts or paying bills while the girls are busy building mud castles or hunting for lady bugs in the bushes. The only problem with working outside is that I am constantly running back inside to grab pens, notebooks, sticky notes, or anything else that I may need while working. I'm still in the process of organizing my workstation to make the most use of it but once I get it set up I will no longer have to run in and out of the house when I'm working outside because I will have everything I need at my fingertips. I love that I can just close the lid and haul the entire case outside then open it back up again and everything is still perfectly in place. It's portable!!! Even though this can get fairly heavy once it's full, the large wheels and handle make it easy to move around. The legs fold into a 'cavity' on the underside of the table to they are flush with the bottom of the case and don't stick out. 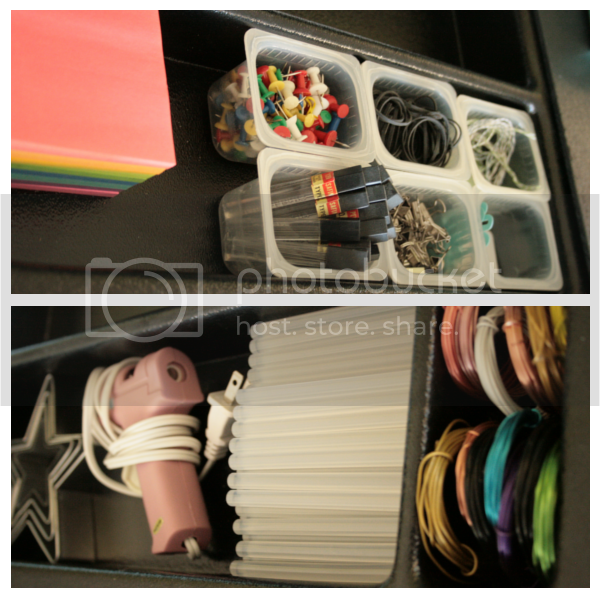 The velcro allows for so many organizing opportunities. You can stick the velcro dots on just about anything and place inside the lid for easy access. Large sturdy work surface with hidden compartments underneath. Cons: The only con I can see with this table is that depending on what you are using it for it can get very heavy. I wouldn't recommend this if you plan on hauling your items up several flights of stairs. Buy, hey!! That's what elevators are for, right? Overall opinion: This product is AMAZING!! It's sturdy and very practical. I would definitely recommend it. Head on over and grab yours today because they are awesome. What would you use your Craft-n-Go Pro Portable Workstation for? A face painting booth? Hobby table? Is the Craft-n-Go Pro Portable Workstation too big for your needs? Check out this amazing TriFold-N-Go Tabletop Workstation. Be sure to connect with Craft-N-Go via their social networks to stay up to date on any new products and announcements. Facebook, Twitter, Pinterest.